His body is impressive, his acting career even more so. 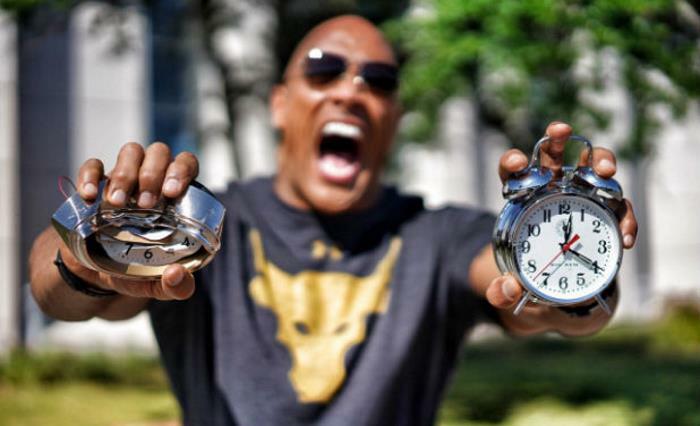 It’s a mountain, it’s a hill, no, it’s The Rock! How does he do it? What does he eat? How does he exercise? I’ll try to explain more in depth in this article. 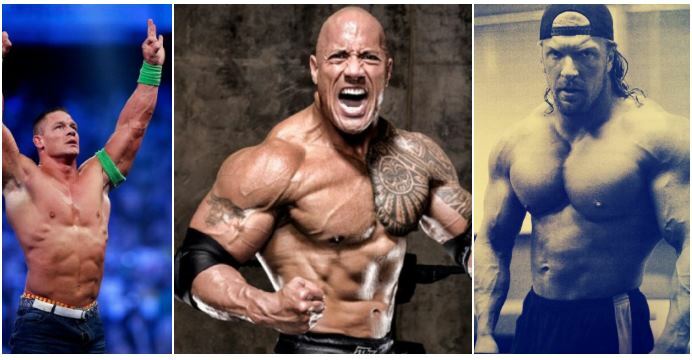 Without meeting The Rock in real life, you can never fully understand and grasp how impressive his body is, and on top of that, how mesmerizing his charisma can be. He appears to be a source of “butterfly effect” actions – his admirers revel in almost everything he does and with good reason. 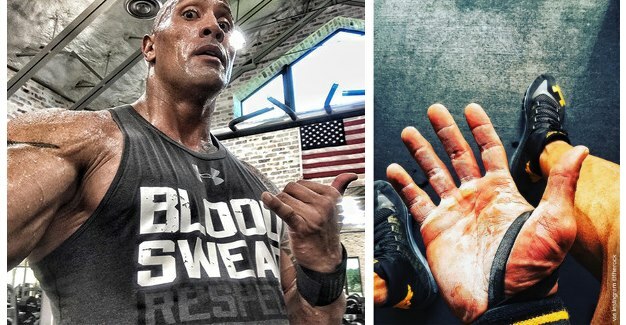 When Dwayne Johnson enters a building he simply attracts people, like the last time at the main hall of the Mr. Olympia where people quickly recognized him and gathered around his location, admiring his, admittedly admirable looks. He enjoys the attention and doesn’t flinch away from conversation, which I believe is because he didn’t get what he has by birth or by sitting around – he trained until he grew his arms to an impressive 20 inches, his chest to 50 and his waist to 35. He has mentioned jokingly in the past that training is his stress relief and practically his therapy, being unable to imagine a life without it. Having a greater social media reach than most celebrities, over 70 million people are reminded to keep healthy and put their best into their work in order to benefit from it both personally and professionally. Hard work is crucial to getting the effect you want and nothing falls out of the sky, he says. After breakfast, he starts proving it, or as he puts it “a nice session of clangin’ and bangin’ – epic pain, epic results”. He is a firm believer in team spirit and teamwork but also in the principle of putting in work to get what you want, so whenever he feels like something of his can inspire people, he posts it on his social media accounts. However, if you’re ready to succeed, you also must be ready to fail and fail again until you muster the willpower, create the plan and dedicate yourself to creating great results. What Does He Eat ? The first question is– how? 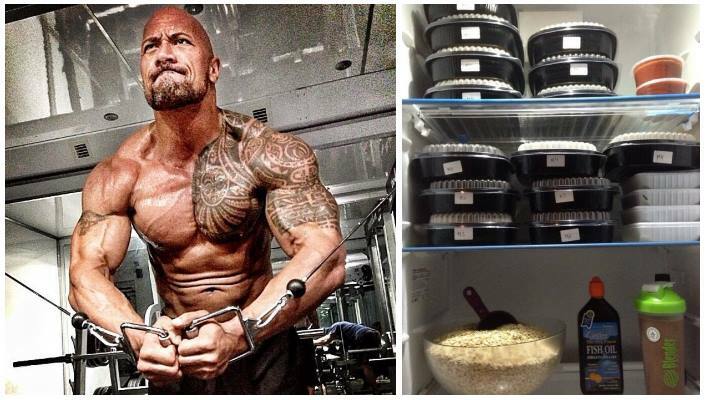 The Rock plans his meals very meticulously, going up to a whooping 7 meals per day! He takes into consideration his goals and alters his diet according to what he is aiming for, but whatever he picks, it’s very well organized and planned. 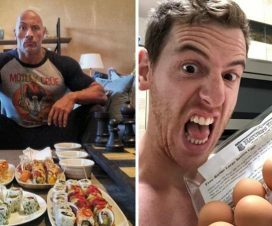 He has stated that he starts the day with some beef and oatmeal, and then continues to devour a number of things including egg whites, rice, asparagus, baked potatoes, peppers, onions, halibut, chicken, mushrooms, leafy salads and steak and oatmeal again. His secret weapon? Casein protein. He has mentioned in the past that he has specific routines of measurement whenever he wants to achieve something specific. He takes the three major components in food (carbs, protein and fat) and eats more or less depending on what he is trying to do. For instance, if he wants to maintain his body, he eats 369 grams of carbs, 246 grams of protein and 91 grams of fat. 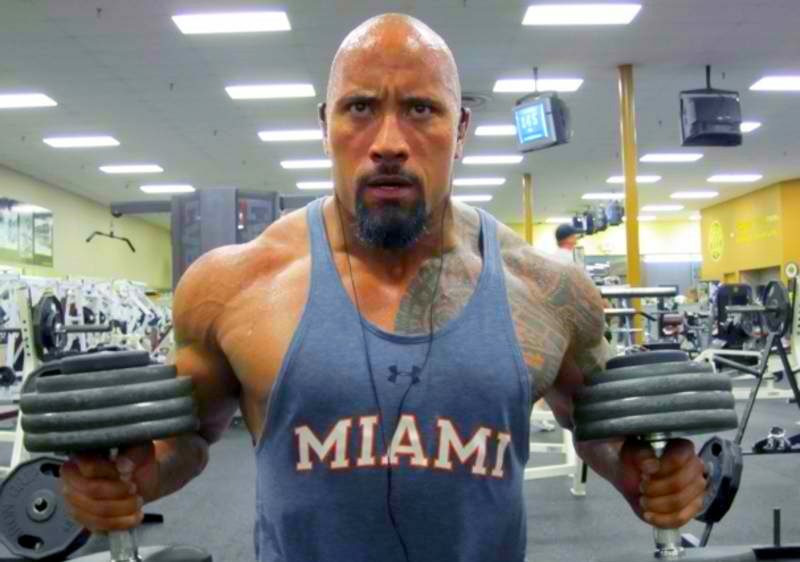 If he is trying to gain muscle, he eats more – 425 grams of carbs, 284 gram of protein and 105 grams of fat. If he has overdone it or wants to shed some fat, he eats 262 grams of carbs and protein and only 58 grams of fat! This is what makes Mr. Johnson truly great.